It’s that time of the year again. 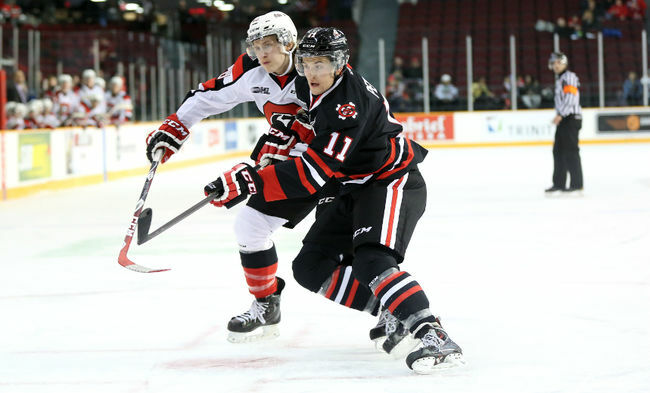 Over the course of the next two months I’ll be looking back to see where I went wrong in my pre-season predictions and what teams I had on the money in the OHL, QMJHL and WHL. Along with that, I’ll also be making my playoff predictions as well for each round. Without further delay, let’s get things started with the OHL and showcasing the four teams that won’t make the playoffs, including one that will be heading to a new location come next city. What Actually Happened: Not only was Sudbury the worst team in the OHL, but they ended up having the worst record in the entire Canadian Hockey League. At least we got that Paul Fixter rant. What Lies Ahead: The Wolves have the number one overall pick in the draft and it seems like a fairly wide open class with Owen Tippett and David Levin among the top choices. 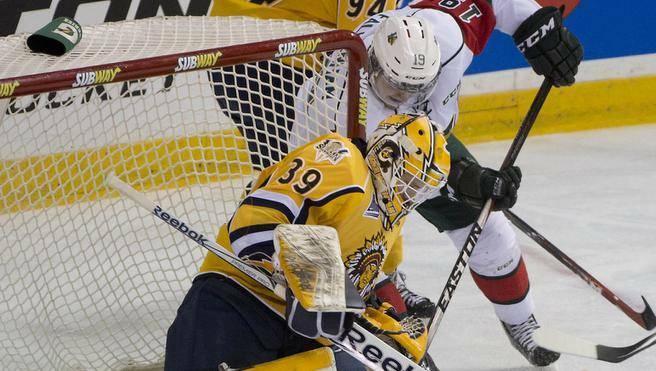 Despite a couple of good pieces to build around in Matt Schmalz and Kyle Capobianco, it may be another long season ahead in Sudbury. 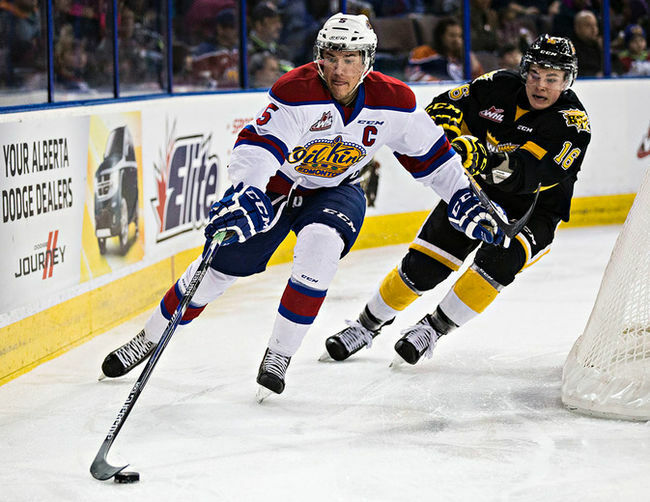 What I Predicted: I’m not quite convinced on the defence, but I really like the forwards Windsor has, and they are my sleeper pick in the Western Conference. What Actually Happened: Well they traded Josh Ho-Sang away for starters, so that kind of messed with my predictions for a great forward core. An 11-game losing streak to end the season proved to be far more damaging. What Lies Ahead: I still like the forwards here, especially Logan Brown, and 63-point defenceman Trevor Murphy could be a huge asset at the trade deadline next January. The rest of the back-end and the goaltending do have question marks still, and they will need to improve that if they hope to win a playoff game for the first time since 2011. 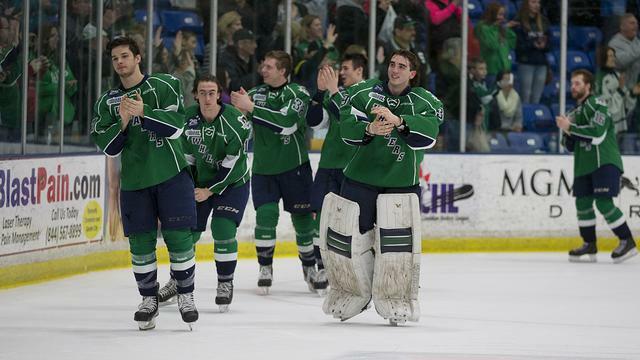 What I Predicted: Following a slight blip last season, the Whalers should return to form this year. 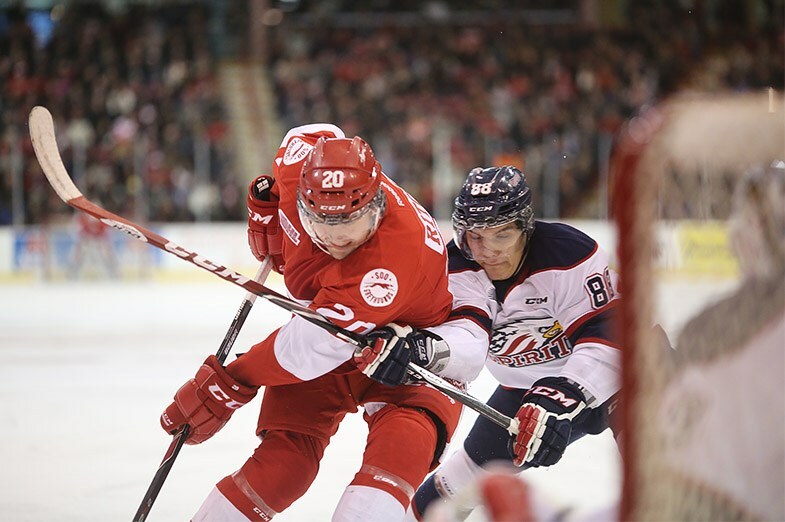 What Actually Happened: Not only did Plymouth fail to come close from being the Soo Greyhounds’ biggest threat, they missed the playoffs for the first time in 23 years. The only other time they missed was their first season as a franchise in 1990-91 as the Detroit Compuware Ambassadors. What Lies Ahead: The Whalers are moving to Flint to become the Firebirds and will have a brand new look in the management and coaching staff. With Sonny Milano, Alex Peters, Josh Wesley and Alex Nedeljkovic all coming back, not to mention a high-end draft pick, they should return to the playoffs. What I Predicted: Every year I bet against Mississauga making the playoffs, and they end up getting there, so I’ve decided to stop picking against them this season. What Actually Happened: They actually missed the playoffs this time around. 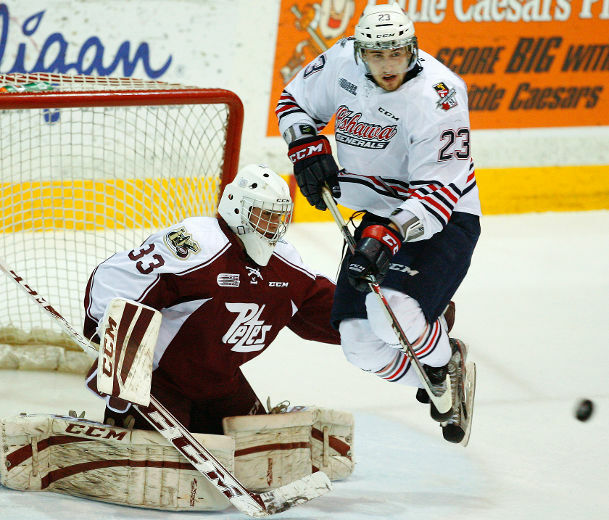 They went all-in by getting Jimmy Lodge in a trade from Saginaw but the season ending knee-injury of goalie Spencer Martin ended up costing them in the end. What Lies Ahead: For starters, I would be surprised if James Boyd is brought back, so I expect that there will be a new coach behind the bench. 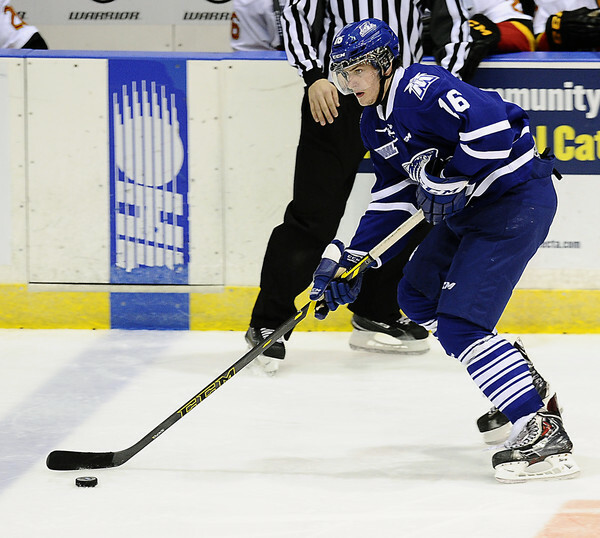 Michael McLeod and Sean Day will be the building blocks to build around and the Steelheads might be back in the post-season, but I doubt they will be a high seed. 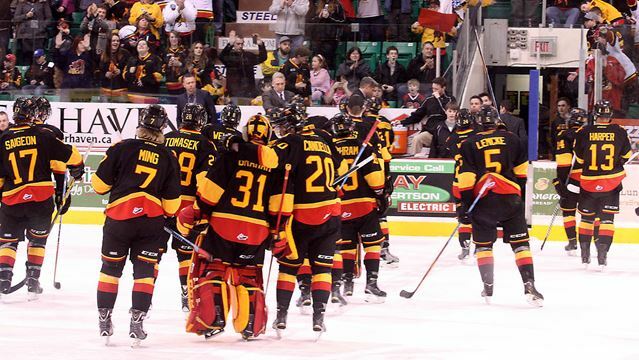 The biggest storyline heading in the OHL playoffs if of course the impending end of the Belleville Bulls franchise. It was announced out of nowhere on March 12 that the Bulls had been sold and would be moving to Hamilton to become the Bulldogs. I’ll save my thoughts over how this deal was done and the fact that junior hockey in Hamilton hasn’t really worked another day. Instead I’ll bid a fond farewell to a franchise that I’ve always considered to be one of the most well-run in the Eastern Conference. Those teams in 2008 and 2009 were sublime and they were a game away from playing London for the title in 2013. Those teams, and players like Mike Murphy, PK Subban and Luke Judson (who I got to know while working in Fort Frances), will be my lasting memories of the club. And of course, there’s Jack Miller, my second favourite announcer in all of junior hockey behind the London Knights’ Mike Stubbs. While Stubbs’ style is like throwing a hair dryer in a hot tub, Miller has the stylings of a master jazz musician who hits the right notes at the right moments. 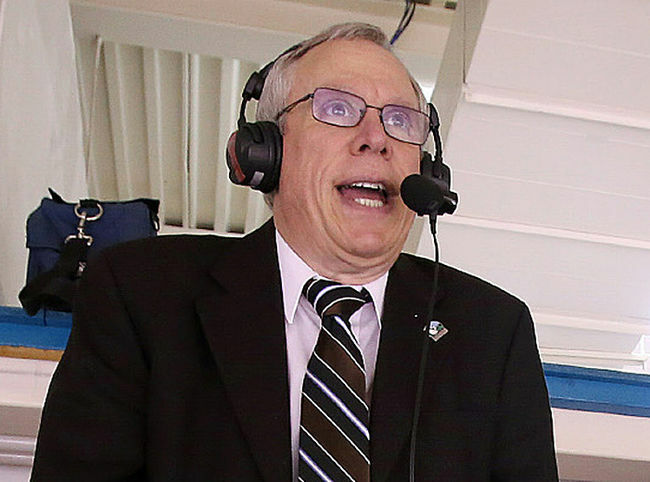 He will still be involved in the TSN Radio’s World Junior broadcasts, but the fact that he won’t be doing any more OHL games is an absolute crime. 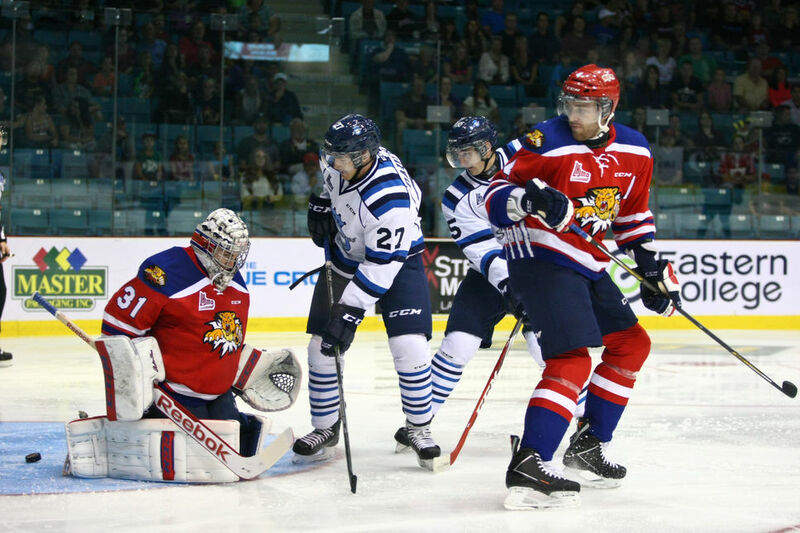 Our next stop is the QMJHL, where only two teams missed out on the playoffs. What I Predicted: For a team that doesn’t have a whole lot to begin with, there is still isn’t a whole lot here. 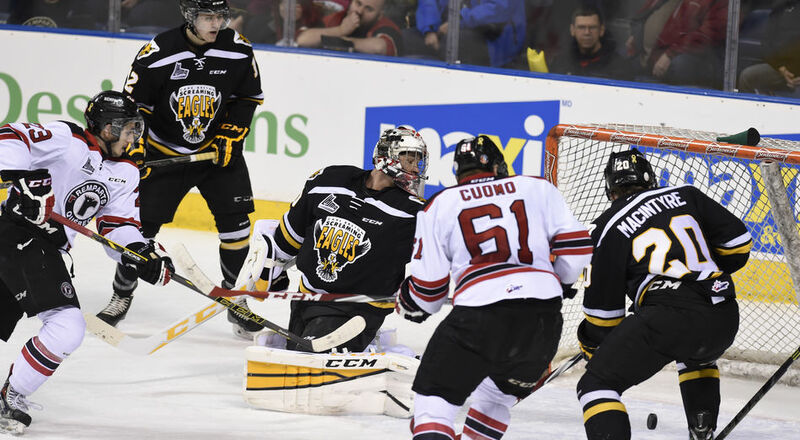 What Actually Happened: The lack of overall depth had me peg this team to be at the bottom of the QMJHL standings and that’s where they ended up. They weren’t Sudbury bad, but they did struggle on their way to being in the basement. 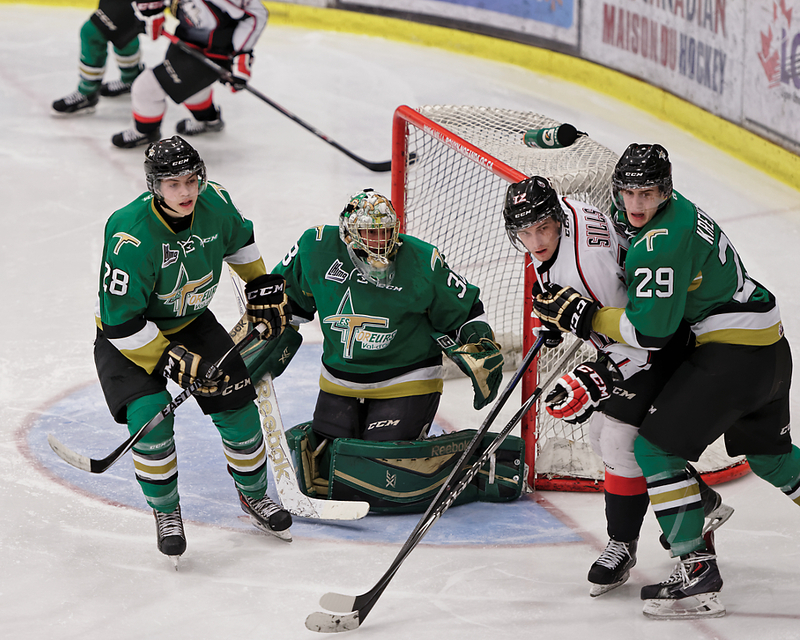 What Lies Ahead: The QMJHL draft lottery is in April so we won’t know if Acadie-Bathurst will have the number one pick, which is expected to be Shane Bowers (unless Joseph Veleno gets exceptional status, but that’s another story for another day). 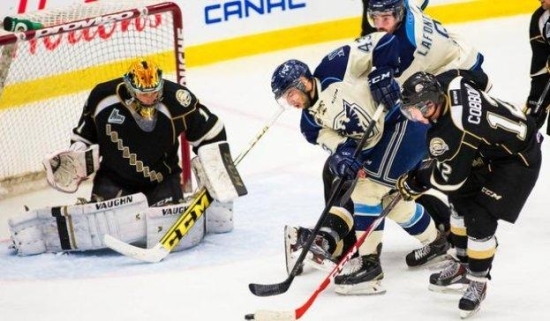 At the moment, the Titan do have some nice young pieces to build around with forward Jordan Maher and defenceman Guillaume Brisebois leading the way, so a return to the playoffs might not be far off. What I Predicted: The squad is fairly young on both forward and defence, but they have two 1995-born goalies who had strong seasons a year ago. If the duo of Joe Fleschler and Louis-Philip Guindon match their performances from last season, they might have a strong season. What Actually Happened: Fleschler’s numbers much worse, Guindon got dealt to Rimouski and Anthony Brodeur was brought in after Christmas. That and a number of other trades resulted in a late-season slide in the standings and caused Drummondville to miss the playoffs. 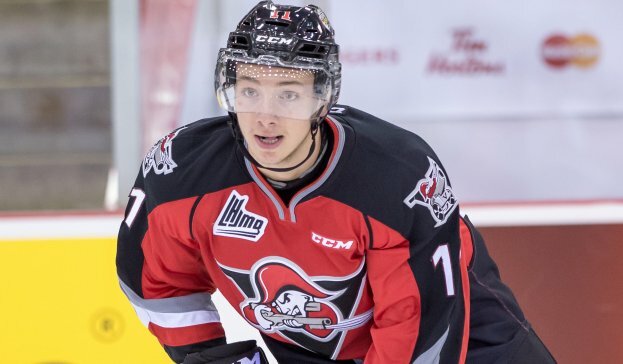 What Lies Ahead: Drummondville’s draft pick ended up in Saint John so they won’t be involved in the draft lottery, (Saint John got the pick from Cape Breton at the trade deadline for captain Olivier LeBlanc. 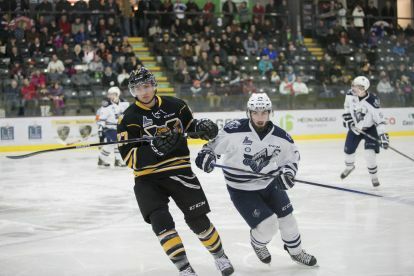 The Screaming Eagles got that pick from the Voltigeurs for William Carrier last year.) so that’s not good for the rebuilding process. They have two exciting forwards in Joey Ratelle and Alex Barre- Boulet, but it might be another tough season in Drummondville next winter. The most intriguing player in the entire QMJHL playoffs might be Quebec Remparts netminder Zach Fucale, who will sadly not be rocking this awesome looking tuque. 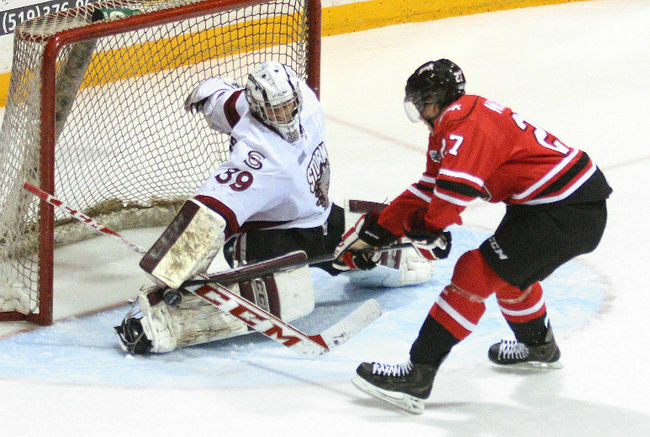 After winning the Memorial Cup with Halifax in 2013 and becoming a second round pick by Montreal in the NHL Entry Draft, Fucale’s had a rough time over the last 12 months. Sure, he did win the gold medal for Canada at the World Juniors, but he lost his starting job in last year’s QMJHL semi-finals and his numbers so far with Quebec (an 8-8 record and a 3.22 GAA) leave a lot to be desired. 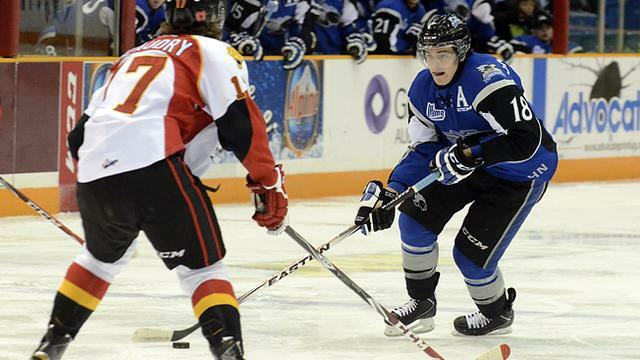 As the Memorial Cup hosts, a lot is expected of Quebec in the playoffs. 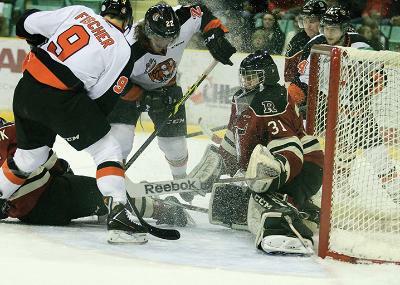 But if Fucale continues to be just average, things might get ugly unless Callum Booth takes things over in a big way. 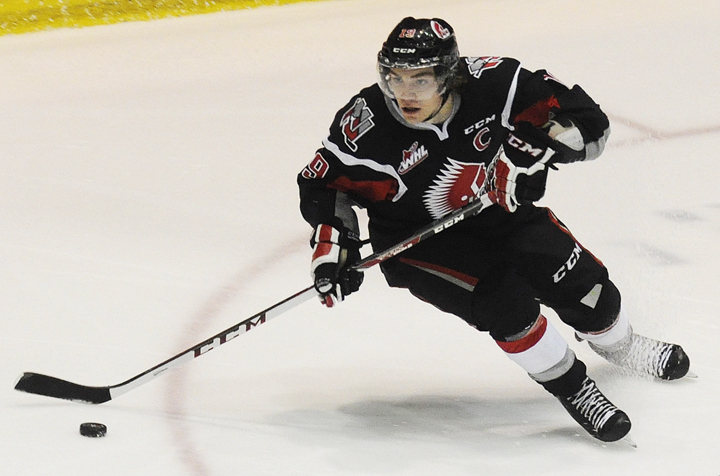 Our last stop on our CHL playoff preview train is the WHL, where six teams will not be heading to the post-season. What I Predicted: With the team already putting Nikita Scherbak on the market and bringing in Alex Forsberg and Ty Mappin as reclamation projects, that should show you where the Blades will end up this year. What Actually Happened: Scherbak was dealt to Everett only four days into the season, while Mappin ended up back in the AJHL with the Olds Grizzlys. 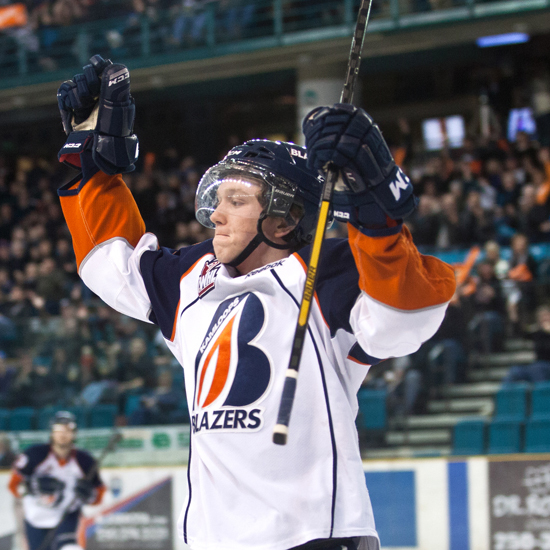 The Forsberg move worked out as he had a good season (a career best 58 points) and was dealt to Victoria for a first round pick in 2017 at the deadline, but it was a long season yet again for the Blades. 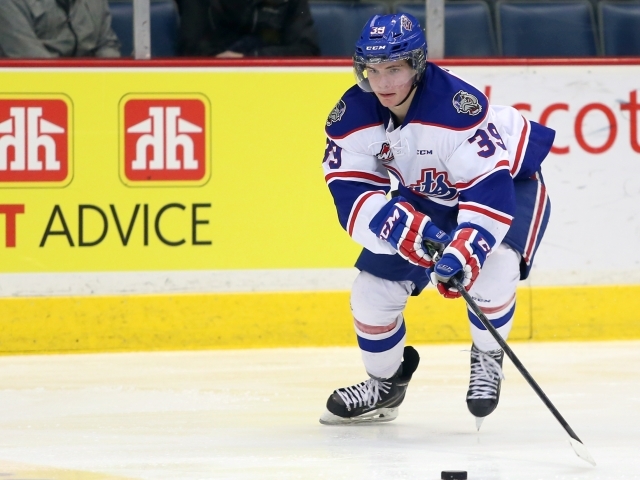 What Lies Ahead: For the second year in a row, a first round pick that the Blades traded ended up in with another team, and the Spokane Chiefs will have a chance to take the top prospect in the draft (more than likely Ty Smith) with the first overall pick. Brycen Martin’s the lone high-end guy on the team at the moment, so it might get worse yet before things recover from the hot mess that was the 2013 Memorial Cup hosting experience. What I Predicted: I don’t think things will be as bad as last season, but with Macoy Erkamps wanting out, and Reid Duke visiting a USHL camp before reporting to Lethbridge, it’s going to be another long winter for the Hurricanes. What Actually Happened: Duke and Erkamps were both traded to Brandon in yet another fleecing by the Wheat Kings on the Hurricanes, and both Drake Berehowsky and Brad Robson were let go of their head coach and general manager duties in early December. With that said, the Hurricanes were better in the second half and weren’t getting blown out of the water like they were a year ago, so there was some progress. What Lies Ahead: The ownership situation remains the hot button topic and probably won’t be resolved until late in the summer. 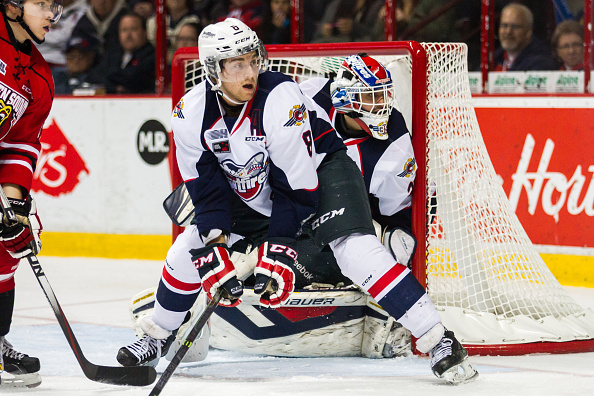 On the ice, goaltender Stuart Skinner was a star in his rookie year with the club and his future looks bright. 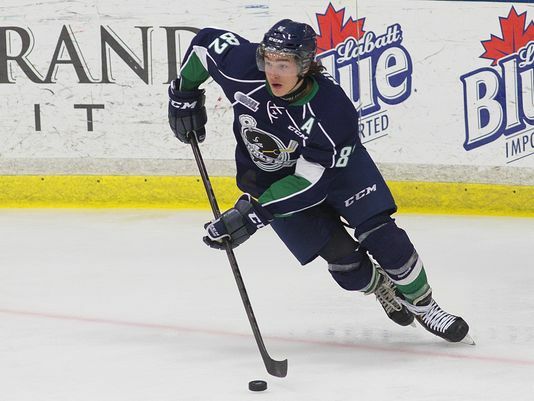 Leading scorer Tyler Wong will probably be dealt at next year’s deadline but some good young players might put this team in the mix to contend for a wild card in 2016. 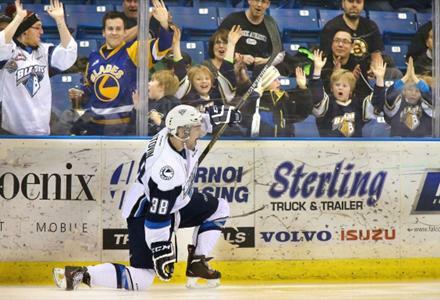 Now if only they can sign last year’s second overall pick Jordy Bellerive. 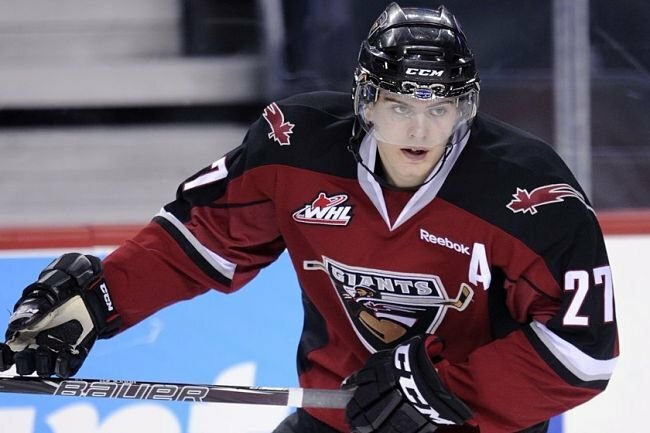 What Actually Happened: Troy Ward got canned in favour of Claude Noel in November, the Giants didn’t win the bid for the 2016 Memorial Cup and they lost 11 of their last 12 regular season games to miss the playoffs. What Lies Ahead: The Giants announced on Wednesday that Noel would not be coming back so the club is now looking for its fourth head coach in the last three seasons. 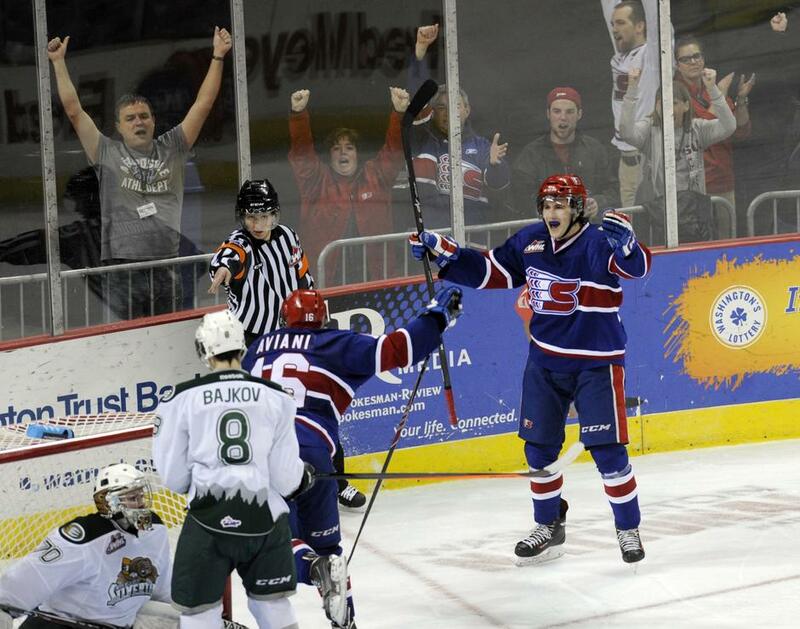 The team is going to be built around sophomore forward Tyler Benson, so their might be a shake-up of the current roster to give him more high-end pieces to play with. What I Predicted: Legendary coach Don Hay is back with the Blazers, but I’m not expecting them to be back in the playoff mix quite yet. 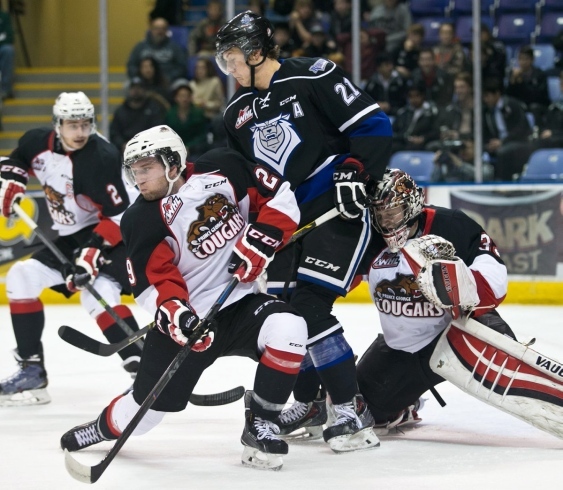 What Actually Happened: The Blazers were in it right until the end, but a loss to the Prince George Cougars on March 20th proved to be their undoing. That and only winning eight games on the road all season. What Lies Ahead: Prior to the season, I expected NHL prospects Cole Ully and Ryan Rehill to be traded to help with the rebuild in Kamloops. That didn’t happen and that may prove to be a missed opportunity if both turn pro and no assets were gained. 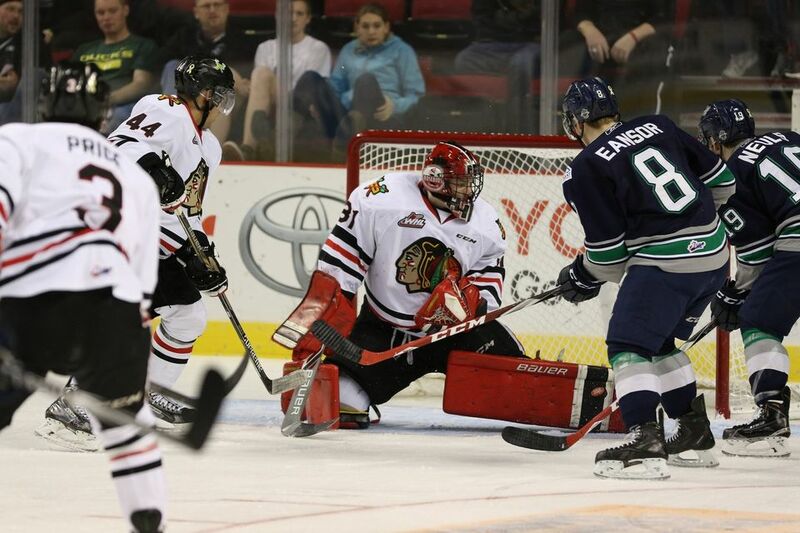 With that said, there are some nice young forwards on the roster like Deven Sideroff and Jake Kryski, and the Blazers have a solid starter in goal in Connor Ingram that might help them return to the playoffs next year. 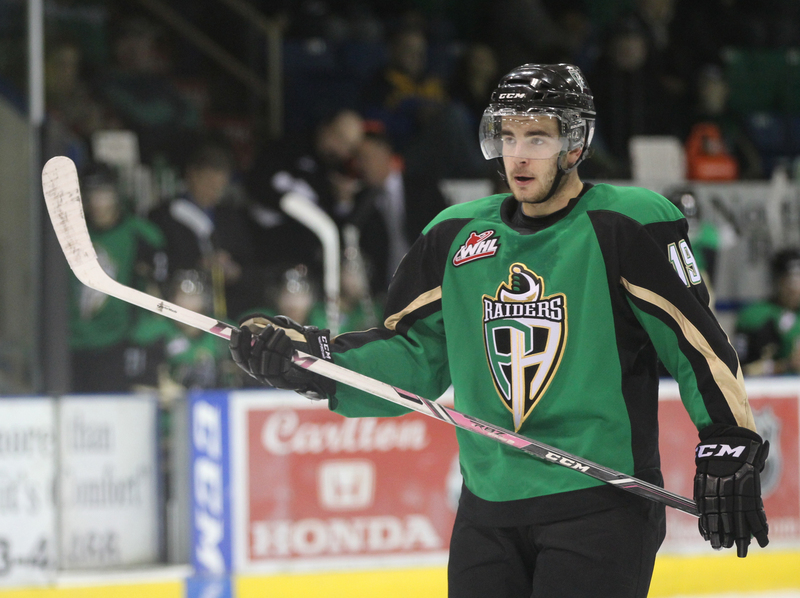 What I Predicted: Even with Leon Draisaitl more than likely not coming back to Prince Albert, the Raiders will still be a playoff team in my opinion. What Actually Happened: Well that didn’t happen at all did it. Cory Clouston got fired in October, Draisaitl (who played in Edmonton for the first half of the season) and Josh Morrissey were both dealt to Kelowna and they weren’t able to overcome a slow start to get into the playoffs. 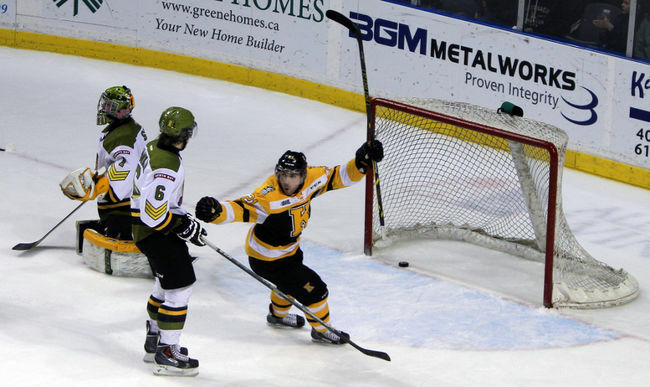 What Lies Ahead: The overall depth isn’t the greatest, but if Reid Gardiner has another strong season and Nick McBride improves in goal, the Raiders might sneak into the wild card discussion next year. They won’t challenge Brandon by any means for the division crowd, but things won’t be too bad. 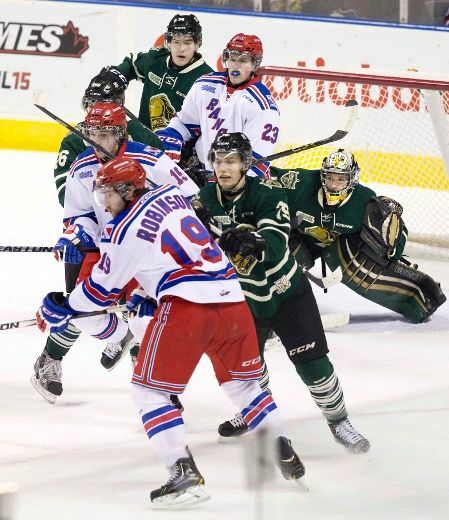 What I Predicted: I went back and forth between the Warriors and the Pats over who will finish in fourth place in the final standings, but I wouldn’t be surprised if it’s Moose Jaw that ends up making the post-season as a wild card team when March rolls around. What Actually Happened: Well I wasn’t right on Regina, but Moose Jaw ended up getting fourth and just missed out on making the playoffs after Swift Current went on a late season slide. A number of close losses over the last couple of months will leave the Warriors wondering what might have been. 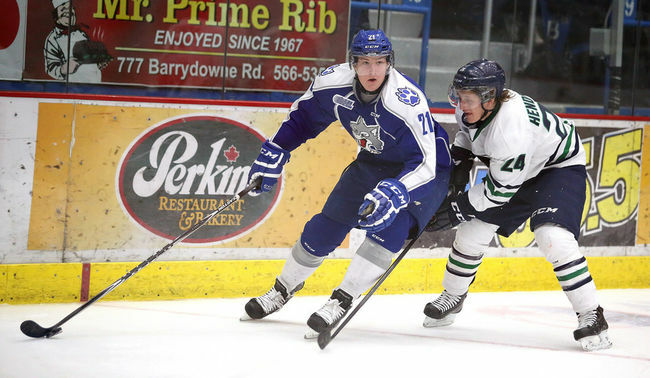 What Lies Ahead: With a talented young goaltending duo in Zach Sawchenko and Brody Wilms, and Brayden Point leading the way up front, the Warriors should again be in the mix to make the playoffs. 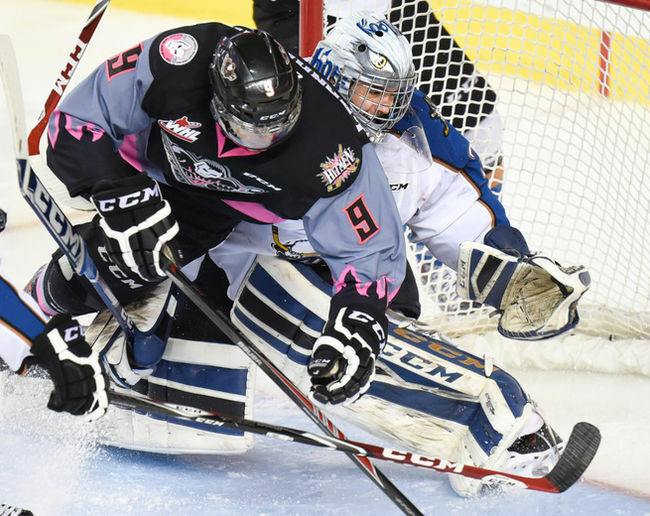 However, if it looks like they will miss the post-season for a fourth straight year, Point will become the biggest piece on the trade market in the WHL during the 2016 trade deadline. 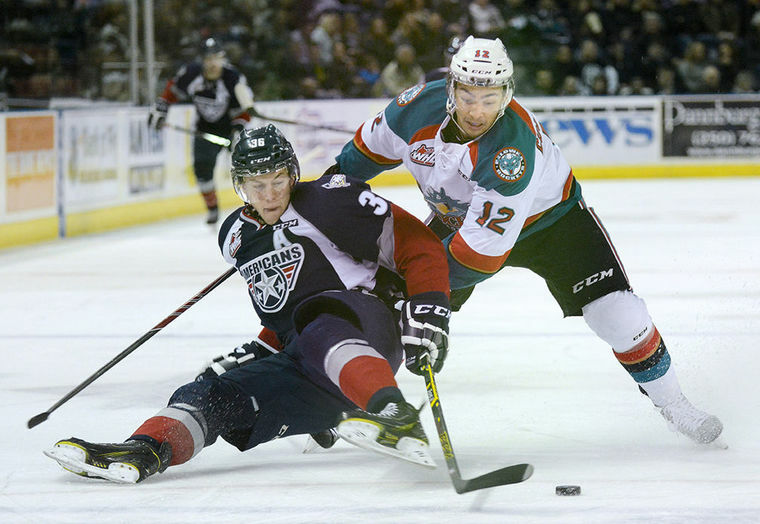 It’s not often that the loss of a rookie forward is considered a game-changer for the WHL playoffs, but Sam Steel is not your ordinary first year player. 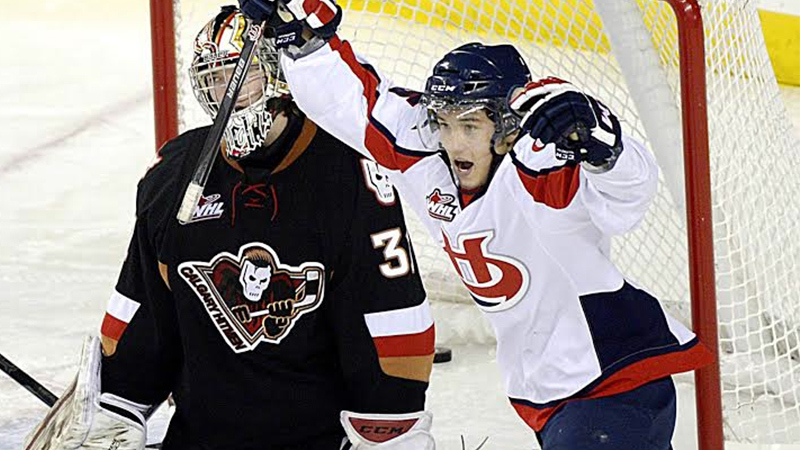 Steel, the second overall pick in the 2013 WHL Bantam Draft behind Vancouver’s Tyler Benson, is expected to miss the entire playoffs with an ankle injury that he suffered on March 10th against Prince Albert and will be a much missed weapon for the Pats as they look to win a playoff series for the first time since 2007. After the Pats made a number of trades at this year’s deadline, the squad is now built around the 16-year-old centre, who had 54 points in 61 games this season. With so much of the team going through Steel already, it’s disappointing that he won’t be involved in the post-season, but I figure this will give him extra motivation to be even better come next year. 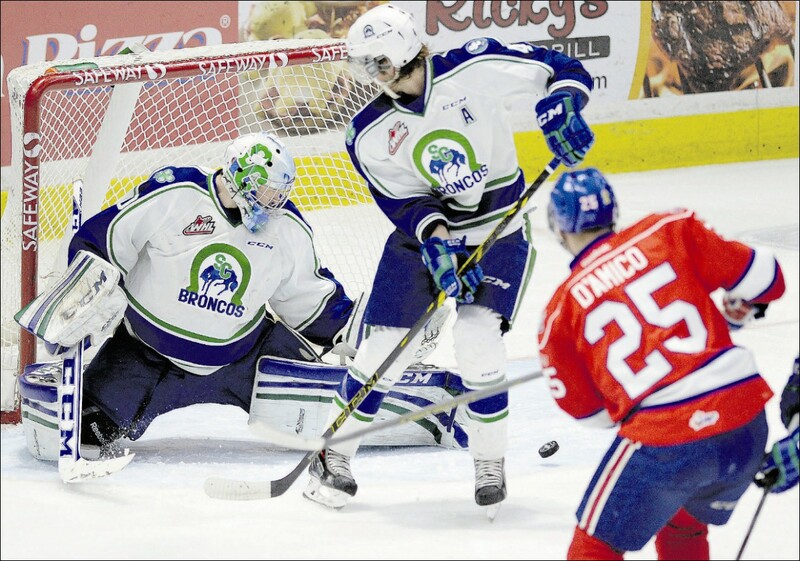 For the rest of the WHL, that’s not something they will want to hear. Well that wraps things up. Here’s hoping the opening round of the playoffs in all three leagues have some wild upsets and triple overtime thrillers. 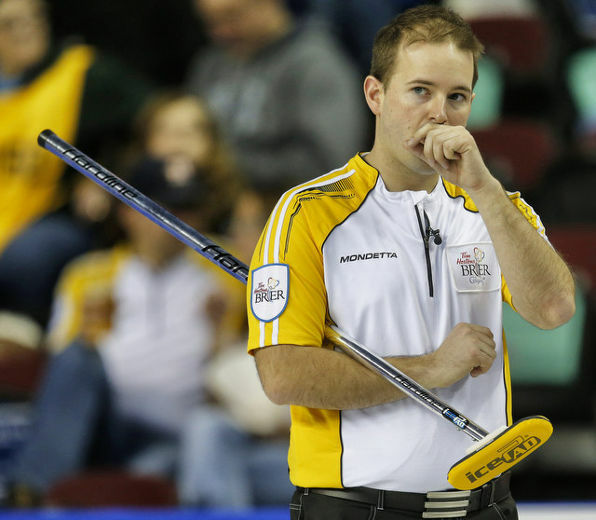 This year’s Tim Hortons Brier will go down as one of the best in recent memory. There were so many twists, turns, drama filled games, broom smashing, broom breaking and insane shots. 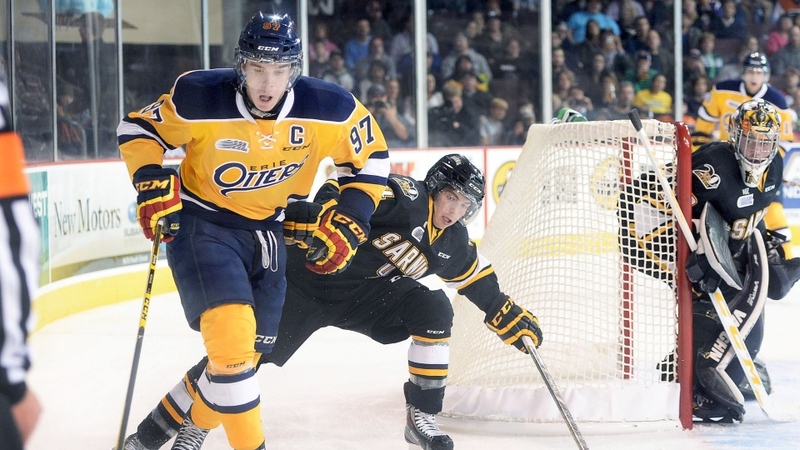 Yes there was the usual bad picks on the ice when it comes to big arenas but what can you do. Anyways, this goes to show how the men’s curling scene is the most competitive it has been in a while. Also for the first time since the playoff format began at the Brier in 1980, Ontario, Manitoba and Alberta all failed to make it into the final weekend. Not only that, some big names had less than impressive weeks for their standards. Best in recent memory? Try the greatest Brier of all time. Okay I wasn’t around for the ones in the 1980’s and my memory is vague on the 90’s and early 2000’s, but this was the best curling event I have ever seen. You’ll see why as this review goes on, but I doubt any event will top this Brier for the foreseeable future. As Team Canada sat at 2-3 on Monday night, things were bleak and my eighth place prediction seemed more and more likely, though they were not out of it by any stretch of the imagination. Then John Morris proposed to drop to vice and have Pat Simmons become the skip. Pat agreed, but only if he ran the show, and boy did it turn out to be a terrific move. The team won all but one game (they lost Draw 16 to Northern Ontario) and had super close wins in the playoffs over Saskatchewan and Newfoundland & Labrador. Simmons was on fire in the championship final, including a huge runback double while facing two in the fourth end to force a blank. Morris’ play improved tremendously as a third, and at times it looked he was playing the same way he did when he was on Kevin Martin’s team. For Morris to step down to vice and give the confidence to have Simmons call the shots was huge on his part also. Finally this is justice for Simmons to win the Brier as a skip after a terrible pick in 2008 cost him a playoff win against Kevin Martin at the Brier in Winnipeg. The Curling Gods indeed came through for Simmons after they turned on him seven years ago, as he was lights out in the finals. 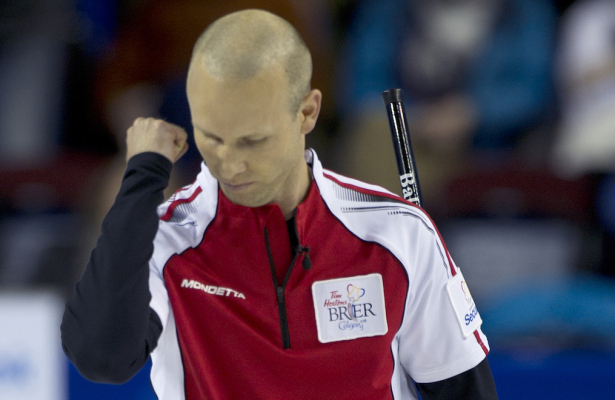 For Morris to make the switch will go down as one of the all-time great moves in Brier history, and it shows just how much of a team player he has become. Unlike Brett, I felt that Team Canada was going to be in the final four but I never expected this, especially after their poor start. I’m not sure how they will do at the Worlds yet, but it looks like this group will stick together for another season, and possibly all the way until the 2017 Olympic Trials. The reigning Olympic champions were definitely showing the stuff that made them Brier winners two years ago. They almost ran the table in the round-robin and they didn’t have that usual mid-week slump that we’re used to seeing, although they came close to that in the 1 vs. 2 page playoff game. 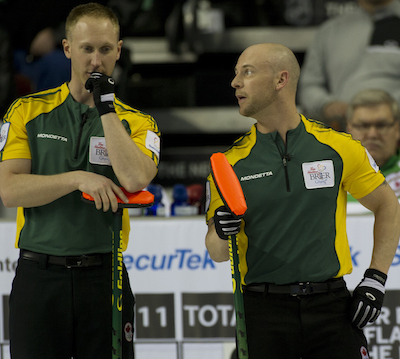 Although they turned up the intensity for the playoffs, they ran into a red-hot Pat Simmons in the final and one bad end (where they gave up three points in the 9th) cost them a chance at a second Brier crown. However, we know that this team will be back and out for blood next year, because the bigger the stage and the tougher the competition, the more intense this team becomes. I still think there was a little bit of a mid-week slump for Team Jacobs as they probably should have lost a game against Saskatchewan. At any rate, the top team in the world (unless you’re a Mike McEwen supporter) were the best rink all week with only the bad ninth end and the lights out showing by Simmons prevented them from winning a second title. Nevertheless, they will probably enter the 2015-16 season as one of the top three teams in the world and it would be quite a surprise if they weren’t in the mix in Ottawa next March. Steve Laycock was having a career year prior to the Brier and this is a rink that has been getting better and better over the past few season. 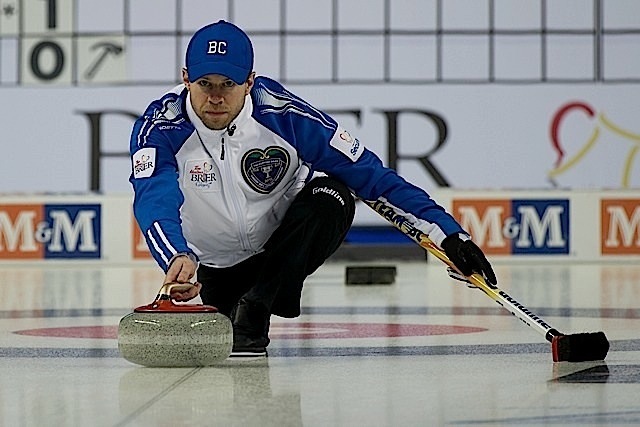 The performance at the Brier has shown that they look primed for an Olympic Trials run as they can hang with some of the top teams in the country. 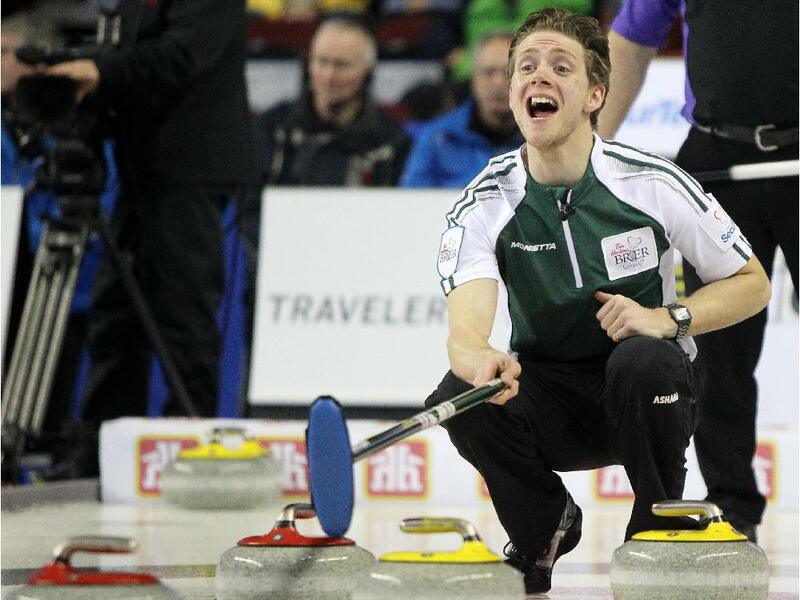 The one thing they will need to work on is their soft shots, especially on their setup shots early in the ends, but other than that this looks to be Saskatchewan’s best hope to end their Brier drought in quite some time. Prior to the Brier I had this rink ranked in seventh place and feared that I had them placed way lower than I should have. I was proved right on that assumption as the Saskatoon rink ended up being my surprise team of the week. I knew they were good, especially after strong showings over the last two season, but I didn’t expect them to be in the medal hunt. I don’t know if they will be a favourite to win it all quite yet, but I expect them to be in the discussion for a playoff spot if they make it back next year. An honourable mention for my biggest surprise has to be Prince Edward Island’s Adam Casey. Other than one really bad game against Northern Ontario, they were great for a first-year team as they worked through the pre-qualifying round and finished at 5-6. I wouldn’t be surprised if they sneak into the tiebreaker discussion over the next couple of years at the Brier. 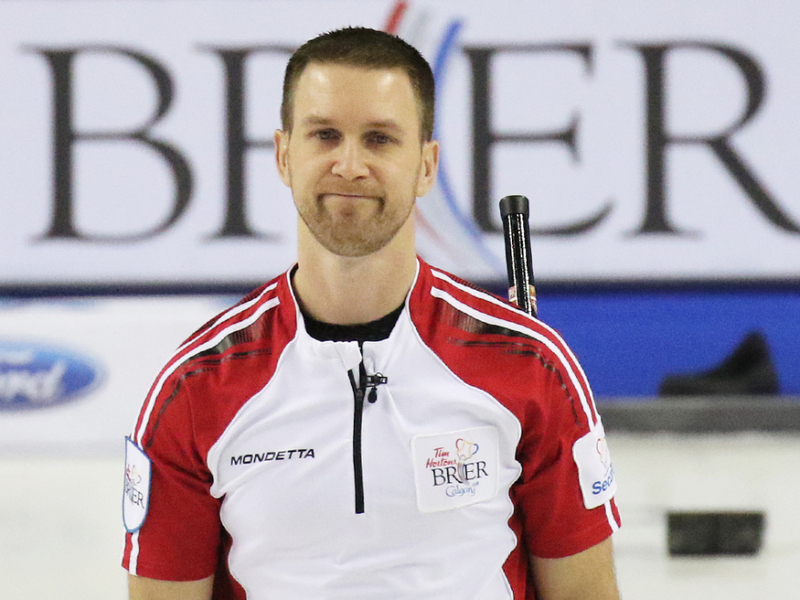 The way things looked throughout the week, it appeared that this would be the year that Brad Gushue’s Brier drought would end, especially after beating Northern Ontario, Saskatchewan and Team Canada in the round-robin. Unfortunately, one bad miss in the 1 vs. 2 game and two more close losses left Gushue on the outside looking in and leaving a real bitter taste of what could have been. 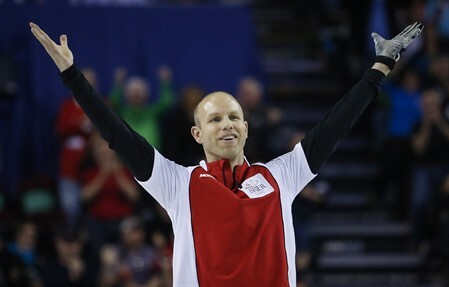 After Gushue made his insane game-winning shot against Alberta, I felt like this was finally going to be the year that the 2006 Olympic gold medalist would win it all. Alas, a couple of close misses against Northern Ontario and Team Canada in the playoffs proved to be his undoing. Since he’s not really good in even-numbered years at the Brier, I’m assuming he will finally win it all in 2017 when it will more than likely be held in St. John’s. I look forward to the hate mail I will receive from folks in my hometown about that last line. During the course of the season, the new lineup for Team Koe would look great one game then really off the next. 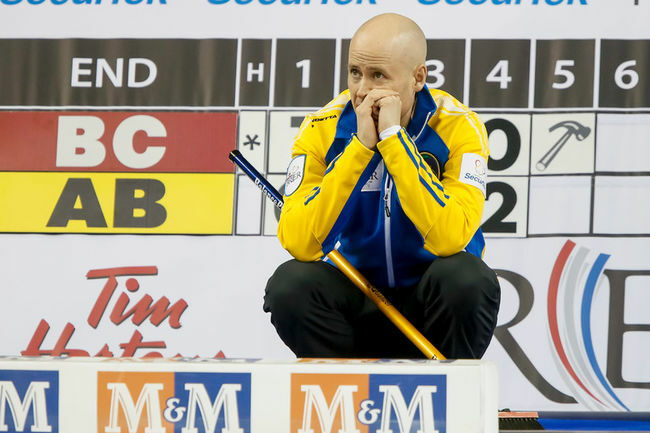 This week it was the struggles of the skip and three heroic game-winning shots (by British Columbia, Newfoundland & Labrador and Saskatchewan) that left Koe out of the playoffs for the very first time in his fourth trip to the Brier. Kevin himself didn’t perform really well this week shooting wise, and while we can forgive him for his struggles early on because of food poisoning, the amount of shots he missed at key times was not like him at all. As a result, his confidence seemed to take a big hit. Hopefully he can regain that form in the final events of this season or at the start of next year and show the potential of this lineup. You could argue that Manitoba finishing at 4-7 was worse than Alberta’s result, but Reid Carruthers’ rink was ranked anywhere from fourth to ninth place in the standings heading into this week. Koe was expected to be in the finals or the semis at worse, so to finish at 6-5 is a huge shock. Granted a couple of those losses came on wild game-winning shots, but the skip’s struggles were too much to overcome in my opinion. I think this was more of a case of first year jitters for a new squad, as I expect them to be at the top of their game in the lead-up to the 2018 Olympics. 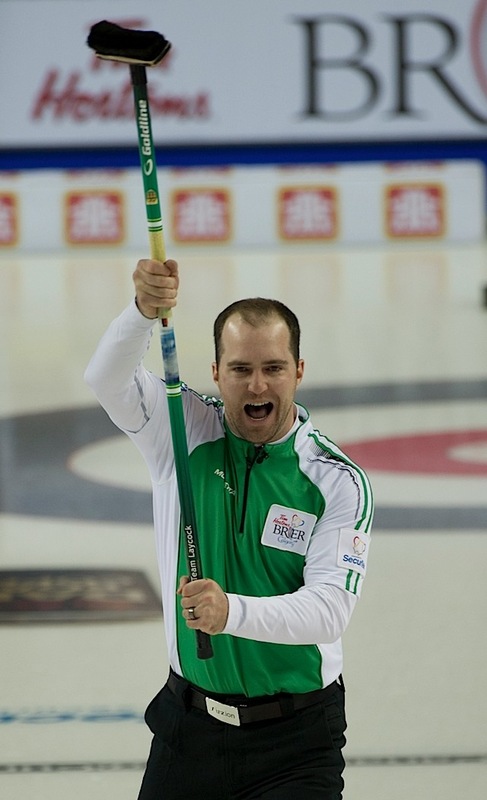 My other disappointment from this year’s event was the 0-11 week for cult hero Jamie Koe of the Northwest Territories. After he lost to New Brunswick in Draw 2, I was worried that his one chance of avoiding relegation had disappeared, and that proved to be the case. He’s teased retirement on Twitter and I really hope that doesn’t happen, as I want to by him an adult beverage some day at the #Patch.